Manchester United have been hit by a plague of absentees over the Christmas period. In defence, regulars Eric Bailly, Chris Smalling and Antonio Valencia are all currently sidelined by injuries. Michael Carrick has been missing in midfield since undergoing a heart procedure back in September. Jose Mourinho expects Romelu Lukaku to miss our next two games with the head injury he picked up against Southampton on Saturday, whilst Zlatan Ibrahimovic could be out for a month with a knee problem. To add another absentee to the list, Ashley Young has now been handed a three-match ban by the FA for his off the ball incident in our 0-0 draw with Southampton earlier this weekend. Young elbowed Southampton’s Dusan Tadic off the ball when defending a corner which went unnoticed by the officials but was picked up by the TV cameras. The 32-year-old has started the majority of games at left-back this season whilst has also covered for right-back earlier in the campaign also. With a limited number of options available for the Everton game this comes as a further blow to us. Jose Mourinho could hand a rare start to Daley Blind against Everton on New Year’s Day with Victor Lindelof playing on the right-hand side of a back four. 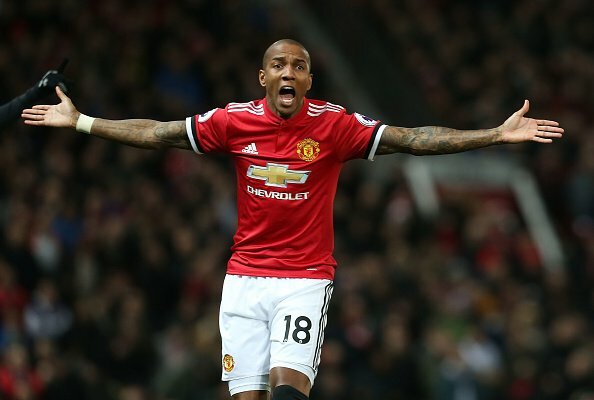 As well as missing the game on New Year’s Day, Ashley Young will also miss our FA Cup third round tie against Derby County and the following weekend’s game in the Premier League against Stoke City.